Intex has launched a new mobile phone which is a 3D touch phone. The Avatar allows users to convert 2D images and video content into 3D with just a touch of a button. The handset also supports dual-SIM capability and comes bundled with a pair of 3D glasses for you to enjoy the 3D content. The company is also offering 10 free pre-loaded movies on the 4GB memory card with the handset. The dual-SIM phone features a 2.8-inch screen, a 2 MP camera with flash, FM Radio, Bluetooth, EDGE, expandable memory up to 16 GB and Torch light. The handset also has interesting features like in- built games including Crazy Birds, Fruit Ninjia, Pentachess, Call of Atlantis, Yumsters and social networking sites such as Google, Yahoo and Facebook and other features like Answering Machine, Mobile Tracker, Auto Call Record, etc. 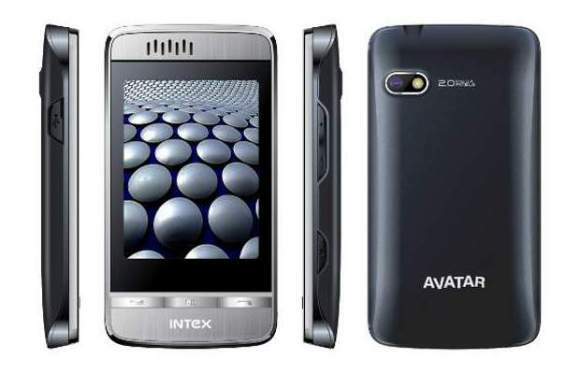 The Intex Avatar is priced at Rs.3,690 and is available all over India.